JACKSONVILLE, Fla. "You're playing what?" 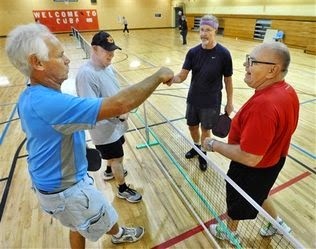 The question comes up a lot in conversations about pickleball, said George Catalano of Jacksonville. It seems there are two types of people in the world: those who know about pickleball, and those who don't. But the number who know about the sport — and are getting on the courts and playing — is quickly increasing. It's been called the fastest-growing sport in America.